Michelle Guthrie who was sacked as ABC managing director. Picture: AAP Image/Mick Tsikas. 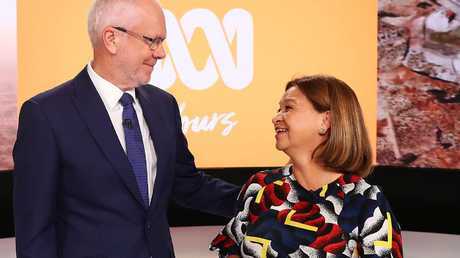 WHEN news broke that just halfway through her contract ABC managing director Michelle Guthrie had been given the boot, you didn't have to strain hard to hear the cheers emanating from the broadcaster's Sydney and Melbourne headquarters. Sally Neighbour, the producer of ABC's flagship current affairs show Four Corners said Ms Guthrie's departure was an "excellent decision". News presenter Juanita Phillips said the replacement "needed to be ready to fight bare-knuckled" for the organisation, a suggestion Ms Guthrie had failed to do just that. High profile radio host Jon Faine was perhaps the most cutting, saying Ms Guthrie's tenure had been an "astonishing fail". News.com.au has spoken to former ABC staff about their departing leader. Ms Guthrie has her defenders who have even claimed she was one of the organisation's "strongest managing directors". But even supporters say she suffered from two fatal flaws - she was unable to "sell" her vision of the ABC to its employees, and she was perceived as being too weak in the face of continued government attacks. 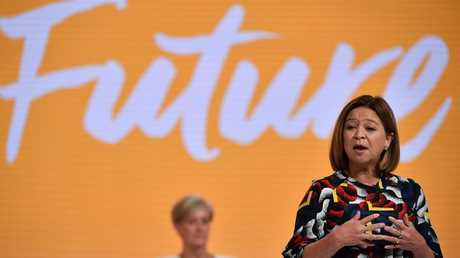 No future for Michelle Guthrie at the ABC. Picture: AAP Image/Joel Carrett. ABC Chairman Justin Milne dropped the bombshell news on Monday morning. 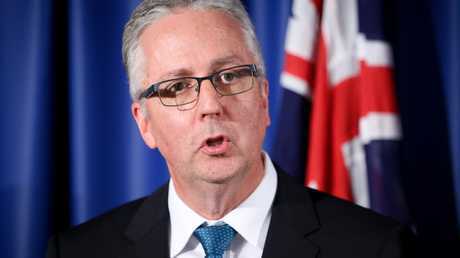 In a statement he said the public service broadcaster needed "fresh leadership". "The Board's foremost consideration was the long-term interests of our own people and the millions of Australians who engage with ABC content every week," Mr Milne said. In what is shaping up to be a messy departure, Ms Guthrie said she was "devastated" at being axed and was considering legal action. The decision could not have come at a more critical time with the ABC facing funding cuts of $84 million at the same time as the SBS' budget has been boosted. "It was a surprise she was sacked. It is such an unusual step and it shows just how bad relations have got that it was a surprise to her as well," Dr Alex Wake, a senior media lecturer at RMIT and former ABC reporter told news.com.au. Not smiling now. Chairman Justin Milne and Michelle Guthrie earlier this year. Picture: John Feder. 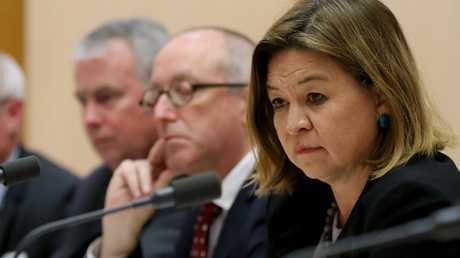 "There are a number of areas where Michelle Guthrie has struggled; the biggest has been the lack of political nous and not just in managing actual politicians but also relations with the board, with the general public and with the staff themselves. "Many very good journos felt very let down by her." It was all so different when Ms Guthrie was appointed to the five-year role with an annual wage of $890,987 in May 2016, said Ginger Gorman, a freelance journalist who worked as a producer and presenter at the ABC for 13 years. "When Guthrie became managing director, some were hopeful that she not only was a woman - the first to lead the ABC - but that she had a diverse background and would bring this to the role alongside her professional background working for News Corp and Google," Gorman said. But she said Ms Guthrie's lack of journalistic experience worried staff from the beginning. "These concerns turned out to be well-founded. 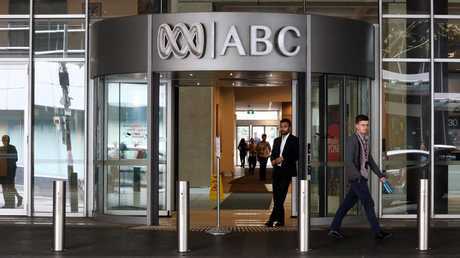 She has failed to defend the ABC - an organisation crucial to the functioning of Australian democracy - from a hostile Coalition government, and protect specialist and crucial parts of the ABC, like Radio National," she said. Michelle Guthrie at the senate estimates committee in Canberra where she told MPs their questioning meant she had missed her flight. Almost immediately Ms Guthrie rubbed politicians in Canberra, who hold all the purse strings, the wrong way. Weeks into her role, appearing at her first senate estimates committee, she complained to the assembled MPs that their questioning had led her to miss her flight. The remark didn't go down well. 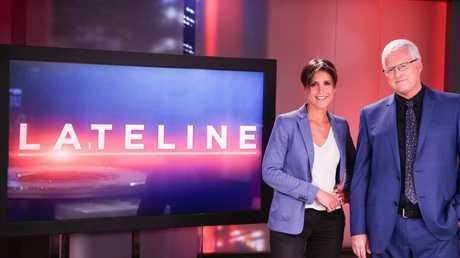 In December 2017, nightly news program Lateline was axed. Hosted by Emma Alberici it regularly scrutinised the actions of elected representatives. Later, Alberici would be thrown further in the spotlight due to articles she penned on company tax which the government would complain were littered with errors. Ms Guthrie said the broadcaster had "clearly failed" in publishing the pieces. Fair assessment or not, it led to a sense among ABC journos that when Canberra barked, Aunty now gladly jumped. That reputation wasn't helped when, last month, satirical current affairs show Tonightly with Tom Ballard - which regularly lampooned (some would say insulted) politicians - was also axed. "She has failed to defend the ABC against incorrect and yet damaging accusation of bias," said Gorman, who also highlighted the organisation's weak push back against calls for it to be privatised. "It's unsurprising the board has made the decision to sack her. 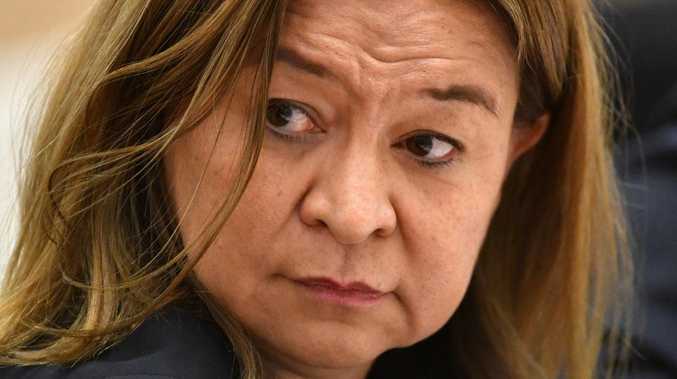 This is crucial time when journalism is under attack around the globe and she hasn't shown her mettle in the face of these brutal and ongoing assaults to the ABC." Faine said Ms Guthrie was focused on flowcharts, had "no interest in journalism" and was not a "champion of the organisation". "It's an astonishing fail on her part," he said and claimed she was "all but invisible". The mood at the ABC’s Sydney HQ was not necessarily positive towards Ms Guthrie. Ms Guthrie has, on multiple occasions, publicly defended the ABC. In a Press Club address in June she said limiting the remit of the organisation, which some competitors have called for, would be a mistake. "Inherent in the drive against the independent public broadcaster, is a belief that it can be pushed and prodded into different shapes to suit the prevailing climate. It can't. Nor should it be," she said. "History elsewhere has shown that if you start tampering with the formula, you risk destroying it. The nation would suffer as a consequence." Dr Wake said some of the backlash Ms Guthrie had indeed been uncalled for. "The managing director role is a very difficult one and those who were very close to her said she was a very good MD and one of the strongest in terms of supporting journos," she said. "But she wasn't able to sell that story to the rest of the staff. They just didn't buy it." "Michelle was let down by her inability to play politics. Few things are as important to the general public as the ABC and anyone in that role is going to have to defend an organisation that people have a lot of love for." Former ABC managing director Mark Scott, who now works for the NSW Government, saw out his contract. Picture: Renee Nowytarger. There have been calls for the next ABC boss to have a journalistic background. Dr Wake said it might help, but it would risk ignoring the rest of the ABC. "The new MD needs to be someone who understands excellent journalism but also that there can't just be repeats on Friday and Saturday nights, who invests in support for local communities and that requires someone with vision and who plays politics and fights in parliament for a decent amount of money for the ABC. "(Ms Guthrie's predecessor) Mark Scott was one of the ABC's best MDs. He had lots of failings but he absolutely had staff behind him and everyone knew Mark was fighting hard for the ABC," said Dr Wake. "We need someone else like that." 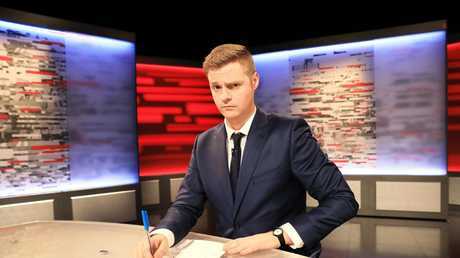 ...as was Tom Ballard’s controversial show Tonightly.